​of the National Women Marines Association was formed in 1972. Our mission is to promote camaraderie among women Marines who are serving or have served honorably in the United States Marine Corps; to award scholarships to qualified high school seniors attending public school in Northern San Diego County; and to cooperate with other organizations in patriotic, educational and charitable endeavors. 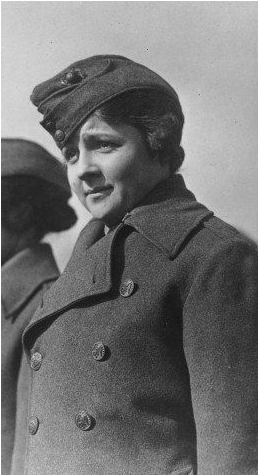 Our chapter is named after Edith Macias Vann, who served in the Marine Corps during World War I as a “Marinette”. When the chapter was formed in September 1972, she helped with the organization. Our Current Chapter composition is listed in the Member Directory. Come and join us for our business/luncheon meetings on the second Saturday of each month. ​See our newsletters for more information.